Nov. Monday 21, 1864 Independence, Iowa I setted up with AJ [Bordly?] to day. we balance the account with $45 17/100 dolars in my favor. 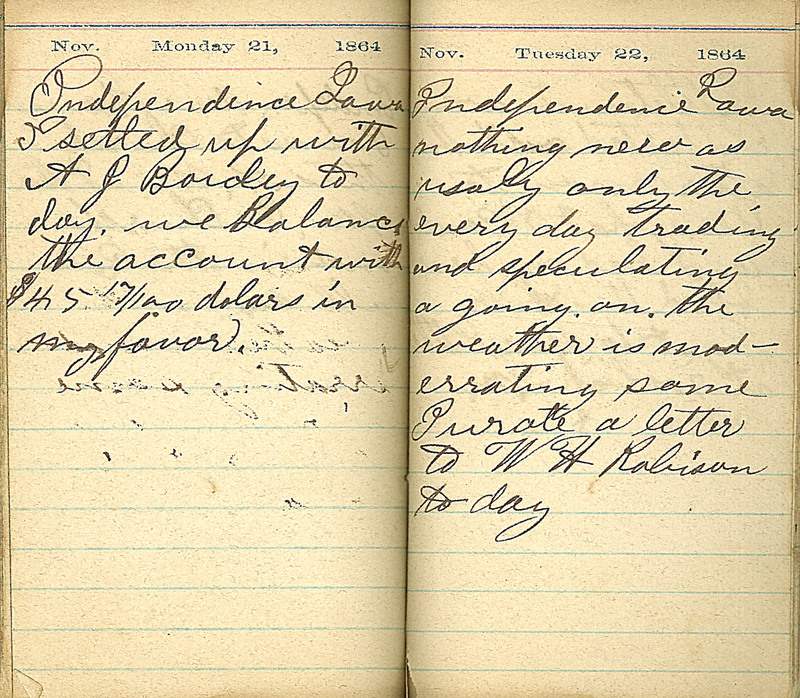 Nov. Tuesday 22, 1864 Independence Iowa nothing new as usualy only the every day trading and speculating a going on the weather is moderrating some I wrote a letter to WH Robison to day.